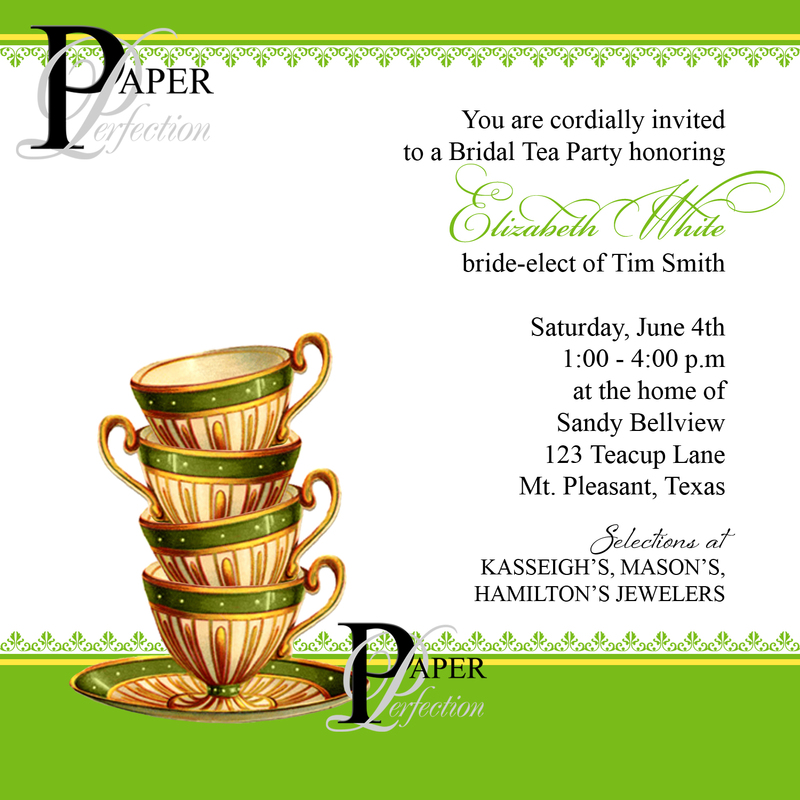 I worked on a few invites today for a Bridal Tea Party and wanted to share them with you. 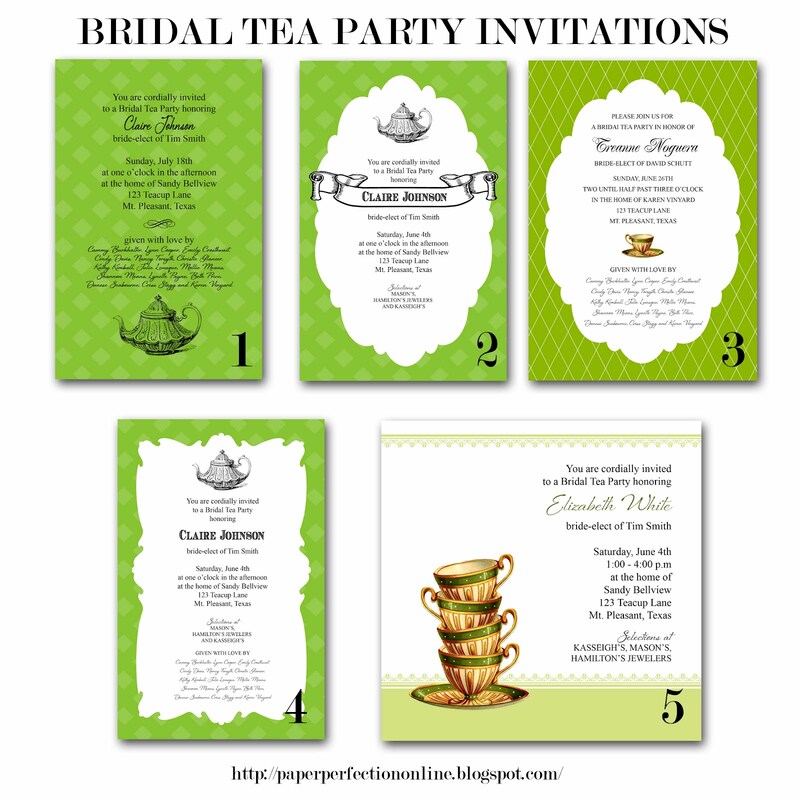 If you like one of these invites but need it in a different color or would like to mix and match between the invites, I can make any changes to make it the perfect invite for your event. Contact Paper Perfection at jtanddolly@yahoo.com for pricing and details. 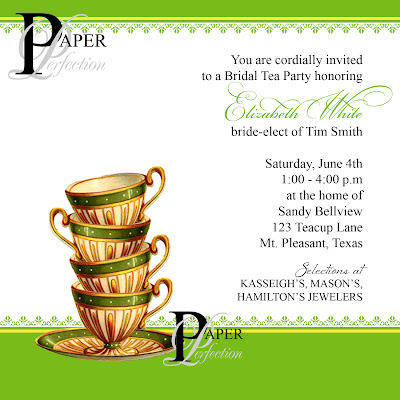 Here is an example of how I can play with color and design for each invite. Wow!! 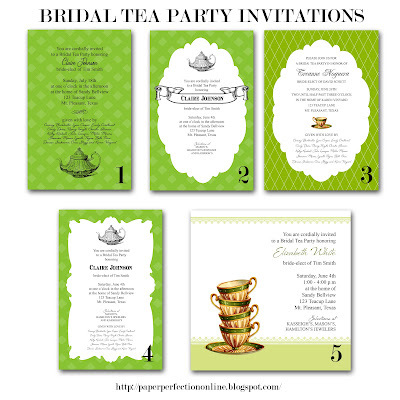 These bridal tea party invitations are very awesome. Would love to have something creative for my sister’s bridal shower at one of wedding venues. Want to do some craft work done for that. Hope will be able to make such an elegant one.